Why be here next winter? When you could be here! NO MORE EXCUSES! Anyone who doesn't book this cruise to the Caribbean simply does not know a real travel deal when they see one. This Celebrity cruise ship docks daily at 12 ports of call. No tenders. Walk right onto shore. Each island has its own beaches, villages, music, liquors, language, customs, foods, wines, dress codes, flowers, spices and native salsa. They've been discovered and rediscovered countless times since the 1400s by the British, French, Spanish and Dutch. Finally Americans are realizing too what a find the Caribbean is and are going there in droves to vacation, shop, study and retire. When you take this exploratory cruise you can dispel any concerns you've ever had about not knowing enough about the Caribbean. You'll come home an expert on Caribbean lifestyles. 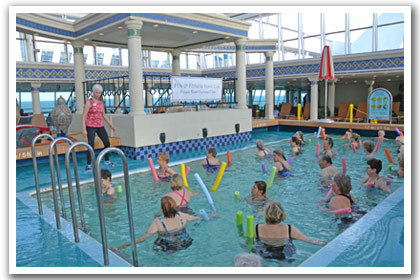 Because this cruise is island intensive we'll offer only one daily morning water aerobics class in the ship's heated Solarium pool, and a few afternoon stretch classes before dinner some evenings. 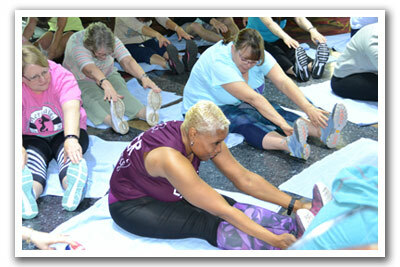 Lead Fitness Host will be AEA certified Tania Vassileva who is a cruise coordinator with Fun & Fitness Travel Club. In fact, this cruise is Tania's choice! She's excited to go next winter with club members to scout out the best beaches in the Caribbean. Tania refuses to suffer through another winter on the East Coast. "It was too horrible and too long last winter," she says. "Never again!" 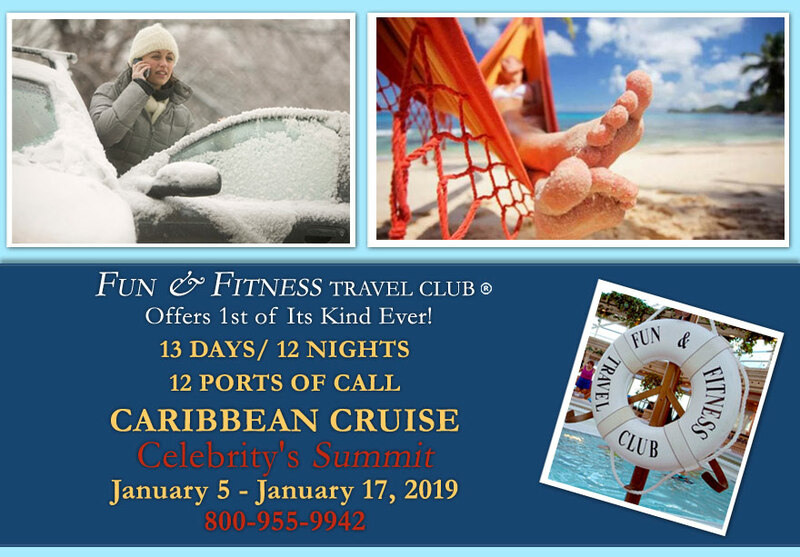 Tania is so convinced club members will want to join her on this winter cruise we're including all tips paid in every stateroom category valued at $174 (one hundred seventy four dollars) per guest. Each evening you can dine together at the 6 PM seating in the formal dining room. 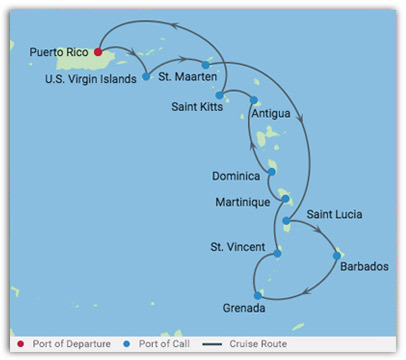 This cruise affords you the opportunity to visit a dozen Caribbean ports of call at a truly affordable price! Because the ship departs San Juan at 8:30 PM Jan. 5th it means you can fly into San Juan the day the cruise leaves, saving you the expense of a pre-cruise hotel stay. Or, if you do want to visit San Juan prior to cruising we can arrange this too. What's not to love? 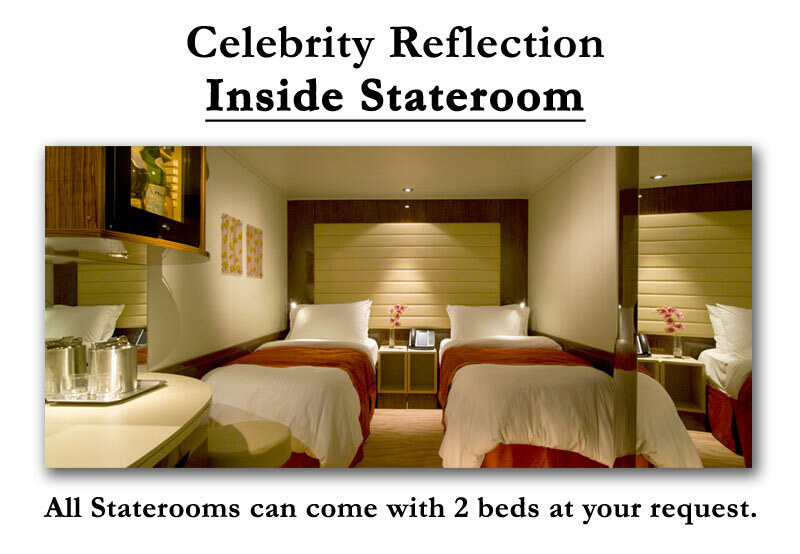 Deposit is $450 per person since the cruise is two weeks long. All deposits are fully refundable up to Sept. 17th, which is also final pay date for this cruise. 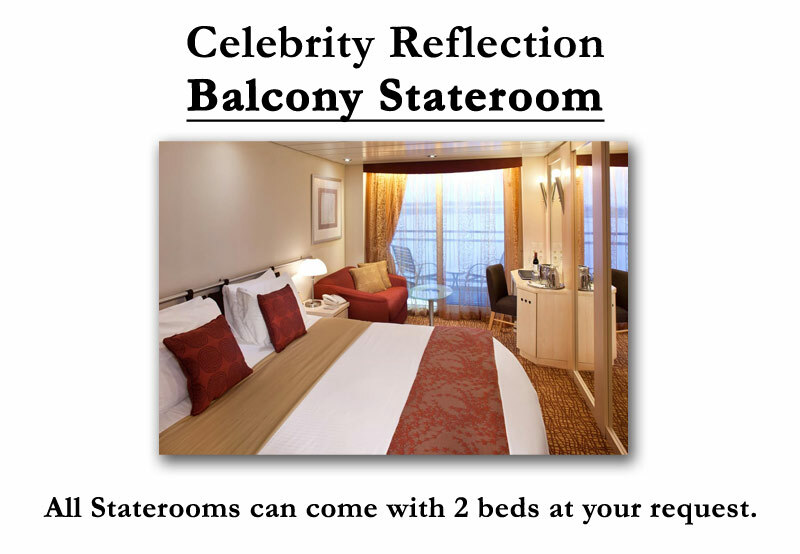 Celebrity Summit Docks at all ports. No Tenders. $100 a day includes tips! To see excursions CLICK ON PORT. Scroll down. To book excursions with call 800-955-9942 for ID. Sunday • 1/6/2019 St. Croix, U.S.V.I. 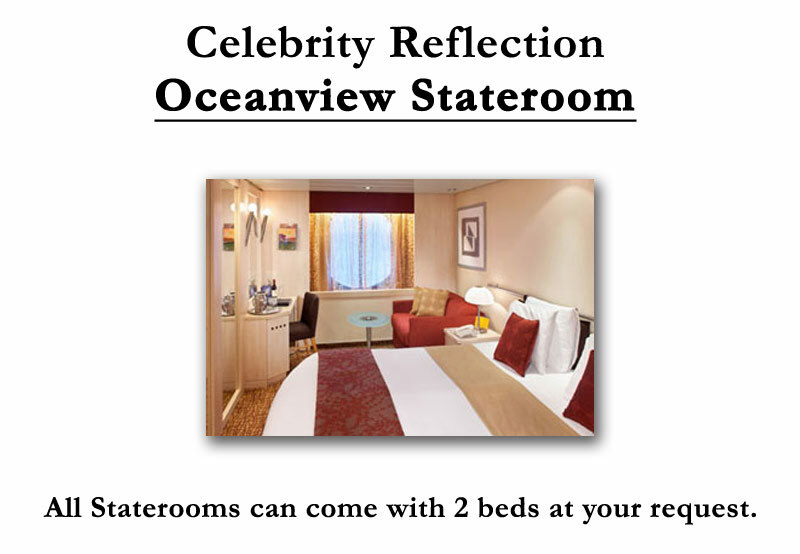 Prices based on double or single occupancy and do include all tips paid. Taxes, fees and port charges are another total cost of $116 more per person. Travel insurance is required and starts at $99 per guest. Prices are subject to availability. For best air rates call Twins Travel at 703-583-2008.